Please notice that this map is from 2004. The Former Yugoslav Republic of Macedonia (FYROM)(sic*). 2,071,210. National or official language: Macedonian. Part of Yugoslavia until 1991. 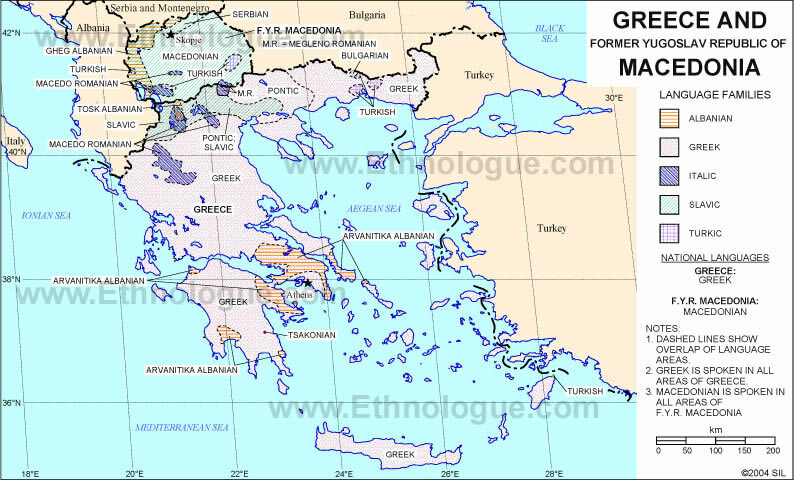 Different from the region of Greece with the name Macedonia(sic*). Also includes Greek. Information mainly from B. Comrie 1987; W. Browne 1989, 1996. The number of languages listed for Macedonia is 9. Of those, all are living languages.